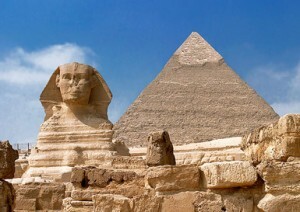 Explore Cairo Tours, Cairo Day Tours, Cairo excursions ! Looking for day tour in Cairo? Would you like to ride a camel by the great pyramids? 100% guaranteed lifetime experience, Book Now online secure payments, Ranked No 1 online Travel Agent in Egypt. Licensed and insured. This prestigious award, which places Egypt Tours in the top-performing 10% of all businesses worldwide. Looking for day tour in Cairo? Would you like to ride a camel by the great pyramids? Enjoy riding your camel or horse for 30 minutes around Giza Pyramids Area such as Cheops, Chephren, Mykerinus, the Valley Temple, and the Great Sphinx and the great Sphinx during sunrise or sunset. Cairo Felucca Cruise on the Nile tour is available during both nighttime and daytime hours; tourists are welcomed to book this trip for birthday parties, anniversaries, engagements, or any special occasion, the sunrise hours are a favorite for this sailing tour. Moez ledin Allah Fatimid Street which is one the very Famous Street in Cairo, visiting Prince Abdul Rahman Katakhda , Fotouh gate and door of victory , the mosque of Aqmar , Group of Sultan Qalawun , Sabil and school Mohammed Ali Balnahacen. Attend the Tannoura show which takes place at Wekalet El Ghoury built in 1504 A.D during the reign of Mamelukes. You can experience the wonders of the ancient world through the Pyramids experience with a panoramic view of the Pyramids of Cheops, Chephren and Mykerinus. You can find several types of animals such as baboons, chimpanzees, lions, leopards, jackals, kangaroos, sea lions, and bears. Also you will find many breeds of birds can be found like vultures, pelicans, cockatoos, emus, flamingos, and sacred ibises. Our tour guide will pick you up from your hotel in Cairo with air-conditioned van to a Luxury Cinema House where you can Enjoy your 2 or 3 Hours Movie. Moses’ Mountain, climbing the Mountain and have the opportunity to explore this amazing place with the assistance of a Bedouin guide. Move to visit St. Catherine Monastery. You will be able to see and feel the Atmosphere of The Local Egyptian Night Clubs. visit the famous Camel Market. You will have experience while seeing merchants buying and selling camels in auctions inside the market, you will see the traders negotiating and making deals. You will see how is the Egyptian people celebrating with their weddings one of the best Cairo tours. You will see people dressed in pharaonic costumes showing you how the ancient pharaohs lived, how there costumes and homes looked like and what kinds of food they liked. Cairo day tours and excursions cares deeply about the quality of care given to all out customers and we ensure you are more than a number in a crowd. How? We provide your own personal Egyptologist so that you can fully appreciate the full reasons as to why Cairo day tour has attracted tourists for over 7 thousand years. There are more pyramids than you often read about and your guide can take you to many, including Sakkara – the very first pyramid ever built. You will also get the chance to see some fantastic mastabas, including the mastaba of Mereruka, the largest one built in ancient Egypt. With you Egyptologist you can then read the pyramid texts inside the Pyramid of Teti before heading off to the ancient capital of Egypt: Memphis. The Colossus of Ramses II dominates the museum here. Although the home of many modern universities and businesses, Cairo is steeped in history, which you can explore by tram, microbus, taxi or the metro – the only one on the African continent prior to 2011. As Cairo is a very busy place and the home to over 15 million people there is always plenty to do. Fill every minute of your trip with adventure. Lose yourself or find yourself – the option is yours with Cairo day tours. Cairo tours staff will do his best to make you feel the ancient pyramids of Giza with your bare hands and imagine how on earth they were made as you stand in the, sometimes, relentless heat. See the features of the sphinx from close proximity – be amazed at how they were built over 4500 years ago. Re-live the history of the making of the Pyramids & the Sphinx when you tour Cairo: some of the oldest attractions in Cairo and in the world and one of Seven Wonders of the World. Perhaps on another day you would like to stay out of the heat in Cairo day tour? Then tour the Egyptian Museum and gaze at the wonders of King Tutankhamen, including his golden death mask. Be amazed at the Tutankhamen collection of treasure, which consists of gold and jewellery enclosed in his tomb for over 3,500 years before it was discovered. As some people are hoping to put mummies back in their resting places, you might like to take the opportunity to marvel at the mummies of some of Egypt’s ancient pharaohs (optional). Lose yourself in the many rooms and galleries, where thousands of artefacts are awaiting your visit. Cairo excursions –making every minute count! For those of you who love the hustle and bustle of markets, cairo day tours offers Khan El-Khalili – the famous bazaar in Cairo, awaits you. With it’s fragrant incense and street sellers as well as the overwhelming array of colours – for people who love to bargain, this is the place for you. For those who like markets but prefer not to haggle then your guide will act as an intermediary for you to get you the best price (at no gain to him/herself). With Cairo sightseeing tours, a day in Cairo will be a day well spent. Feeling spiritual or love religious architecture? Cairo day tours has Islamic and Coptic tours to the famous churches and mosques in Cairo, including: The Hanging Church and the Church of St. George the Martyr There are also 2 churches built into the walls of the Fort of Babylon (the remains of which are believed to be Cairo’s oldest structures; and the Church of Abu Serga (St. Sergius), where, it is said, the Holy Family took shelter in a cave. This whole area in Cairo is a world famous destination for Pilgrims. Make sure that whilst in Cairo, you visit the Mosque and Madrasa of Sultan Hassan. This site is known as one of the world’s most important and biggest destinations to Islam. Many people add a quick day trip to Cairo when on holiday to Egypt, but even with Cairo excursions and tours, there would never be enough time to explore all that Cairo has to offer. Your tours in Cairo are captivating experiences full of museums and historic art galleries that allow you to get the real insight of Cairo and days gone by. Walking through the streets at a slow pace and just watching people going about their everyday business provides an amazing insight into how the past blends with the present to give you the Egypt you see today. Cairo has a rich heritage of tourist destinations to keep you busy for months, let alone a day. Perhaps you are a history lover and really want to step back in time. With Cairo sightseeing tours, you can enter the Pharoanic Village: Egypt’s historic park. It is a unique place where Egypt’s entire history (ancient and modern) is explained in 2 to 3 hours. It is located on an island in the River Nile: just 3 miles south of the centre of Cairo. Here you will find yourself being transported by floating amphitheatres, and a hundred actors and actresses demonstrate scenes from ancient Egypt (papyrus making, brewing, sculpting, home building etc). The village also boasts a complete replica of King Tutankhamen’s tomb, with all its treasures. In addition to this there are 12 new museums, 4 related to ancient Egypt (mummification and medicine, pyramids building, arts and beliefs, ancient Egyptian boats.) Be prepared to be enthralled. What about souvenirs? Cairo is one of the best places in Egypt to buy good quality souvenirs to take home. Pick up a papyrus, roll sparkling crystals in the palms of your hands or perhaps take home some handmade silver jewelry – all at good prices. Perhaps a relative asked for a camel? Then visit the camel market (Birqash Camel Market – Souq al-Gamaal) where you can see where camels have been sold for centuries. If a camel is out of the question – your guide from Cairo day tours will ensure you get the best deals whether you are buying an oriental carpet, silk scarves or a hand carved wooden toy. Our goal to send you back to your home country happy and satisfied, and to welcome you back again! What else can you do when in Cairo? So, what else can you do when in Cairo? You can, of course, ride a camel – as every good tourist should! Enjoy a romantic or very precious time with friends or loved ones at the Sound and Light show at the Giza pyramids or watch Cairo pass by as you sail in a felucca through Cairo at night. Perhaps you want to go to the Cairo opera house and experience Egypt in a different way to that which is usually offered to tourists. Your own Egyptologist will be sensitive to your needs and mood to ensure you get the holiday you want and need. We will do our best to make sure that you don’t visit just tourist attractions but also mix with the real people and therefore, see the real Egypt. With Egypt Last Minute, you can fill every sense and savour every minute. Do you want to know more? Do you want to custom your tours in Cairo? For booking and custom tours click on book now button. Let me introduce to you Cairo through a long term Egyptian resident of Cairo, for thousands of years Cairo, (Al-Qahirah) literally “The Conqueror”, has been the heart of Egypt. Cairo is the administrative capital of Egypt. A city never sleeps. It now accommodates between 20 and 23 million. Cairo is one of the world’s largest urban areas; it is the largest city in the Arab world and Africa. Cairo is a very interesting city with lots of attractions and culture. It represents mix between pharaonic, Coptic and Islamic civilization. Cairo provides great cultural facilities worth seeing. I would like to expand your view of Cairo and give you the opportunity to have the best possible experience through Egyptian eyes not touristic eyes. ancient world. But just few spot that these buildings were not only regular tombs, actually it was the gates to the other world, and simply it was the house of eternity. You won’t realize the glory of the pyramids till you face the pyramids by yourself hence you will feel the greatness of the ancient Egyptians. Please let us prepare short or long camel ride to feel the beauty of the Sahara that continues till morocco. You will have the opportunity to learn why the ancient Egyptian prepared huge solar boats. You will meet the witness of that long history; the sphinx. Sakkara step pyramid: it was the first perfect trial to build a pyramid, Imhotep; the genius architect who was worshipped later as medicine god, put the unique design for the first pyramid that survived for more than 4600 years. The area of Sakkara remained a sacred necropolis along the old kingdom. It is full of both royal pyramids and high state officials’ tombs. It still has much to uncover in the future. Nearby the historical site you can relax for a while and enjoy a typical local meal at an open air restaurant while listening to flute music. Taste the fresh peasants’ baked bread and learn how we bake it. Along the way to our next sightseeing you will see many oriental carpets school offer us free lecture to know how we here in Egypt make handmade Rugs. We can arrange you safari trip in Giza plateau in Bedwin style to catch the sun set in dessert while you have a camel or horse ride in camel convoy. During the night we offer you optional tour to attend the marvelous sound and light show at the foot of the pyramids. It concludes the pharaonic history of Egypt within 40 minutes; the Pharaohs will appear before your eyes. History comes to life with each show and provides the audience with a magical experience of learning about ancient Egypt, while staring up at the pyramids. Don’t miss it. The Egyptian museum in Cairo is of the prominent museums in the world, it has 136.000 items on display, with many more hundreds in its’ basement storerooms. That’s why the government already planning to construct a great Egyptian museum near by the pyramids of Giza. The museum was built during 1898-1901 with a collection assembled by Auguste Mariette, the French archaeologist retained by Isma’il Pasha. Many of you may have spent great effort and money to see few objects of the most famous collection of the Pharaoh Tutankhamun; whose almost the most complete tomb we found till now. Howard Carter found it in the Valley of the Kings in 1922. At the Egyptian museum you will be able to see the full collection of king Tut even you will recognize even the tools they used to prepare his treasure. You will have the chance to recognize the ancient Egyptian mummies in special state of preservation wondering how they kept it that way with intimate details; hair and nails. Unique collection of very fashionable jewelry is in exhibition too; to inspire the modern jewelry designers. You shall find a whole department for papyrus; the oldest paper ever used to record the ancient Egyptian culture. Optional tour: a sailing felucca, the traditional boat of the Nile, Egypt is the Nile. 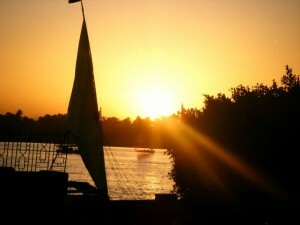 So take a small Nile Felucca to enjoy the charm of the Nile. We may prepare a local meal; Kosharri; so you feel like native Egyptian. Known as Al-Qalaa (the Citadel) and built by Salah-Al-Din Al-Ayyubi (Saladin) in AD 1169. Located on Muqattam Hills its great mountain in Egypt, It includes so many old monuments form Islamic and Coptic times, of course the great Alabaster Mosque of Mohamed Aly, Its very pretty mosque, also you can visit there Joseph’s Well, Al Gawhara Palace and a great military museum from president Sadat time. It was built in 18308 inside the great citadel, We can say that its a better copy of the blue mosque of sultan Ahmed in turkey. its highly recommended! This optional program is perfect for singles and couples looking for something fun and different! It’s exciting with a touch of romantic ambience – cruising down the Nile River on a cruise ship taking in the city lights; you will take 2hours cruise on the Nile River with a magnificent view of city. During the cruise, following dinner, you will enjoy a folklore show and belly dancing. Old or Coptic Cairo: we call this site Coptic Cairo as it houses seven churches, the one beside the other. it consider to be the oldest part of Cairo. Nowadays we call that region the religious complex because it has the houses of the three different religions; synagogue for Jewish, Churches for Christianity and mosque for Islam. the hanging church was built in the 7th Century, its name as you see hanging why hanging church? as it was built on top of a mountain on the remains Babylon castle. It houses so many old icons around 120 most of them dates back to the 18th century and some f them are older. Dates back to the beginning of the 5th Century, it is believed that this church is the oldest in Cairo, the basilica is built on the cave in which the Holy Family is believed to have stayed when they came to Egypt. It is regarded by visitors as a source of blessing. Ben Ezra synagogue is the top Jewish monument we have in the old Cairo, there are many synagogue in Egypt , most of them dates back to 12th century. It is maintained by 42 local Jewish families living in Cairo . lt was the first mosque built in Egypt and Africa. it was constructed on the same spot were the Arabs besieged the Roman fortress Babylon for three months till the Byzantines gave up; right here they started to extend a new city “Al-Fustat”, which became the capital of Egypt at that time. lt is simple in design and contains architecture elements from different periods. This is the third “large mosque” (gamee) built in Egypt. It is characterized by its unique spiral minaret and a large collection of gypsum decoration. It is considered to be the oldest surviving mosque still exists in Cairo. These two mosques look like one compound although the mosque of Sultan Hassan was built during the 15th century; it was founded by Al-Nasser Hassan a Mamelouk ruler, as a mosque and a school accommodating the four main sectors of Sunnis Muslims; while Al-Refai Mosque was built at the beginning of the 20th century, several members of the former Royal Family (including King Farouk), as well as the ex-Shah of Iran, are buried there. The Pharaonic Village displays a replica of the Pharaonic culture. You can get a glimpse back in time to see, feel, and imagine how it was when the powerful ancient Pharaohs ruled thousands of years ago. We will see and experience the lifestyle of the ancient Egyptians, acted by over 100 actors and actresses, dressed and acting as in the old Pharaonic villages. Come with us on a journey through time to the rich and exciting age of the pharaohs. It is an excellent place to visit particularly for families with children. It is a major open air market in the Islamic district; it was built when the Sultan Barquq started to build his school or Madrasa , during the 14th century. It was known as Turkish Bazar during the Ottman period. While the visit you can take a walking tour in old Islamic Cairo within area. It is one of the most important Islamic streets in Cairo. it has many Islamic monuments that dates back to different Islamic eras . It represents a major collection of all different Islamic architectural elements. Mausoleums, Madrasa “School”, parmistan “hospital” and wikala “commercial shops”. Keep walking till you find the gates of Fatimid Cairo and the enclosure walls of the city. an ancient restored house, The house was built in 1796. Bayt el Suhaymi is the best example of a rich private house dating 17th century which show how people used to live in the Ottoman period, it is good example of Islamic architecture. During the evening may you want to attend special show in a very special place called Wikalet Al-ghoury. It offers free folkloric show, so you can enjoy both the Tannorah show “the revolving skirt”, you can explore the local products which are shown by Egyptian art crafts.